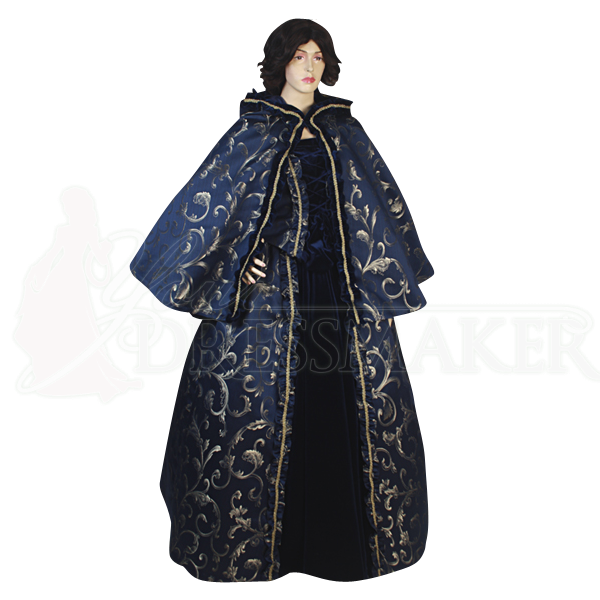 A good cloak is a must-have addition to any ladies elegant attire, and this Womens Short Hooded Brocade Cape provides not only a bit of protection from the elements, but also adds an impressive touch of style that can enhance a ladies look in a big way. Unlike a traditional cloak, this attractive little accent is really more of a long shoulder cape, featuring a length that hangs off the shoulders and falls down around to mid-waist. The cloak is crafted entirely in fine, high quality brocade fabric, while it is also lined in satin to ensure that it is not only comfortable to wear, but also stunning to look at too. The cloak features decorative trim around the edges, as well as a full hood that will shield any maiden form the wind and the rain. The cloak fastens at the neck for easy wearing. Please note that this garment includes only the cloak. 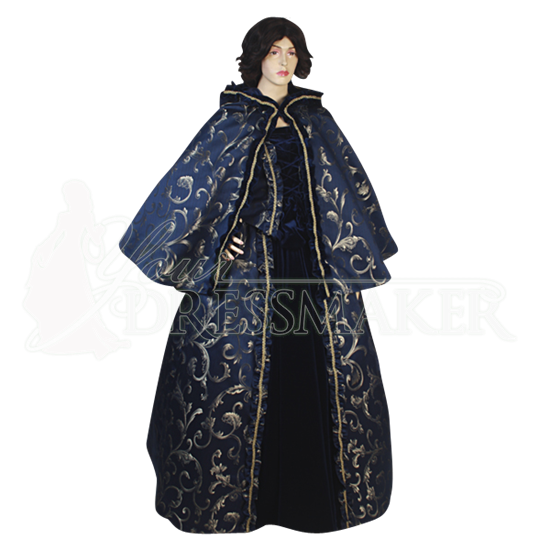 Possessed of an ornate look itself, this Womens Short Hooded Brocade Cape is a fantastic accent to add to your own noble attire, especially if you are looking to bolster yourself with a few extra layers to keep warm when you attend a mid-winter ball or a late autumn masquerade.